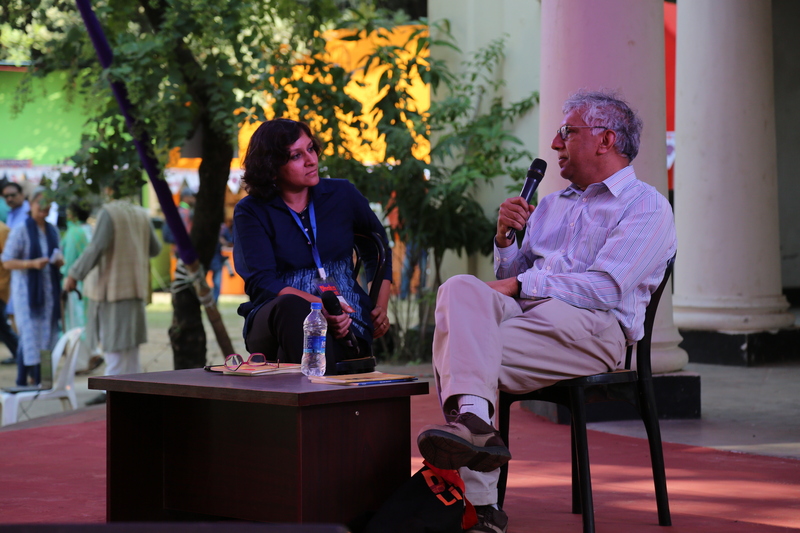 What is the significance of a literary festival? Celebrated in abundance across many countries, it is becoming a more pronounced and regular feature of the Asian landscape only over the past decade. Whilst Jaipur holds the distinction of hosting the largest and most globally prominent one in the region, other areas in India are striving to replicate its overwhelming success. The importance of these literary arenas has subsequently spread to places like Karachi, Singapore, Bhutan and beyond. 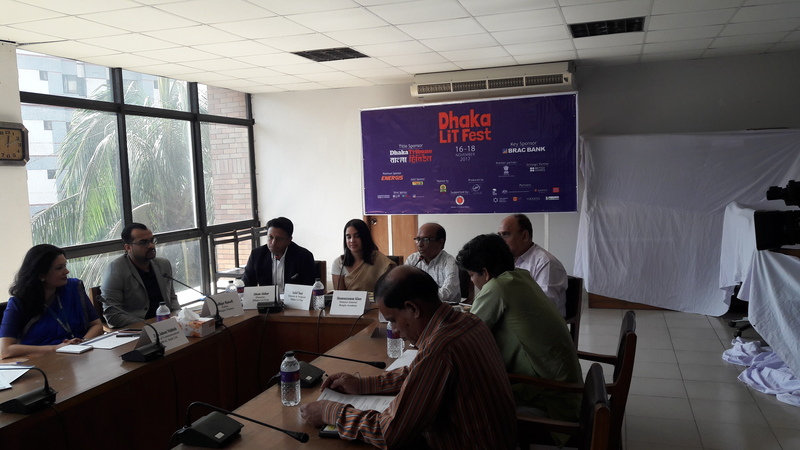 However, in Dhaka, this much needed momentum and gap was addressed with the birth of the Dhaka Literature Festival in 2012. In a press conference I attended for the 2017 edition, the directors expressed their desire for the festival to act as a starting point of important regional and global discussions. In spite of the haze of censorship in the subcontinent via political clout and overt intimidation blurring open dialogue, the DLF stands united as a focal point in addressing these concerns to expand dialogues and minds with exposure to some of literature’s great modern luminaries. This is evident with a prestigious line-up over the years with authors like Nobel Laureate Sir V.S Naipaul, Pulitzer Prize winning Vijay Seshadri, Man Booker Prize winner Deborah Smith, highly acclaimed poet Sudeep Sen and more. This uncompromising ambition carries onto this year with the inclusion of Adonis, the greatest living Arabic poet, Booker Prize winner Ben Okri , Oscar winning Tilda Swinton, Playwright /BAFTA winner Sir David Hare etc among a distinguished host of Bengali writers and poets. This year will also see the festival announce the winners of the DSC prize for the first time. A truly prestigious award of 25000$ presented for the best South Asian book, comprising of names like Booker winner Aravind Adiga, Anuk Arudpragasam, Anjali Joseph, Karan Mahajan and Stephen Alter making the 5 person shortlist. What I find wonderful about the festival is the fact that local established and aspiring authors now have the opportunity to engage with and learn from authors of various genres without any distinguishing formalities. This cross pollination of ideas will hopefully lead to increasing the prominence of Bangladeshi writers worldwide. Access to world class literature is imperative towards this dream and the inclusion of literary agents like Kelly Falconer and Granta magazine may help expedite this vision. This is not a literary festival that panders only to the elite of suburban Bangladeshi society with exorbitant fees;in fact, the festival and all panels remain free of any cost (allowing in the satiation of any budding intellectual curiosity). Another topic that was reiterated during the initiating press conference. 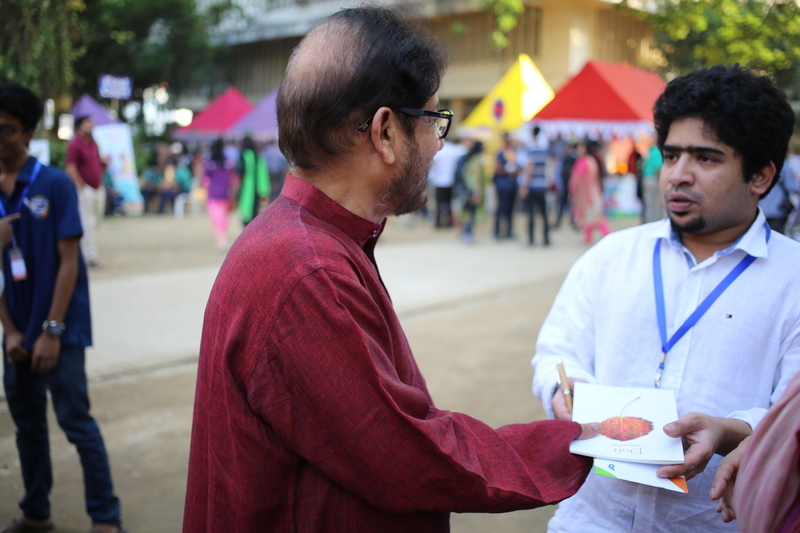 Last year I had the opportunity to be invited to the Dhaka Literature Festival to launch my book and spread word of the review. It holds a special place in my heart because growing up in Dhaka during my formative years I never would have envisioned seeing a Pulitzer prize winning author casually strolling along the lawns of Bangla Academy in conversation with a host of other critically renowned writers. I am certain this simple yet exuberant sense of joy was replicated in the hearts of many attendees, now able to claim such moments not as some vague mirage from an obscure festival review online but to savour the opportunity and relish it instead as a first-hand experience. Serendipity is often a neglected muse. However, this year I am hoping to honour her as I find myself coincidentally in Dhaka during the tenure of the festival alongside Luxembourg Review Columnist Ikhtisad Ahmed and with our global team we plan to cover various aspects of the festival whilst eagerly engaging in the festivities and panels. Founder and Editor-in-Chief of The Luxembourg Review. Night Sky with Exit Wounds by Ocean Vuong; A review.